You’ve got an exhibition in Chichester Cathedral this summer, along with a new poetry collection, Out Of The Ashes, to be published in autumn by Bloodaxe Books. How do you find time to write between all your other projects? Frieda Hughes: It’s difficult to fit all the work that I want to get done, into the time that it is possible to be awake! I inevitably have piles of filing and paperwork waiting for my attention among other things. But really, when I’m working on a book, or an exhibition, everything else has to fall away and I become very focussed. 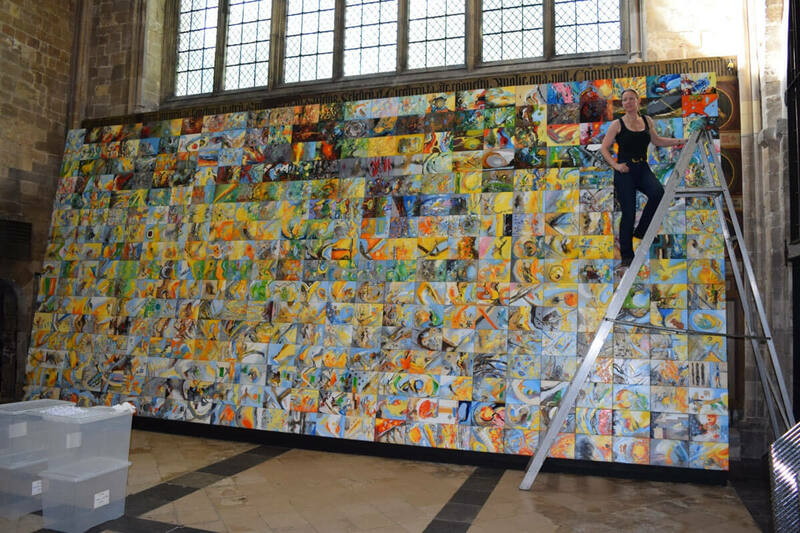 The exception was my project, 400 DAYS, which is a panel comprising 400 10inch by 14inch oil-on-canvas paintings, one for each of 400 consecutive days of my life, finishing on 31st December 2016, which is included in my Chichester exhibition, together with the paintings from my recent poetry collection Alternative Values. For 400 days I lived and worked through each day as normal – and did a great deal of writing – then painted my ‘daily painting’ at night, as my visual diary of that day. It was exhausting! 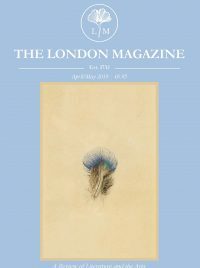 As someone who has judged many prizes, including both the Forward Prize and National Poetry Competition, what role do you think competitions have in the development of a poet? I believe that poetry competitions bring poetry to the attention of a wider public, because anyone can enter, and they might encourage someone who hasn’t thought of poetry seriously, to focus their attention; the hope of a prize and recognition can be very appealing. And for the lucky winners, the cash prizes are a welcome bonus, as well as having the satisfaction of seeing their work receive the critical validation it must surely deserve, outside publication in magazines and books. Reading the poems for me, as a judge, is always an education because there are as many different points of view in poetry as there are poets; I find the journey through the observations, ideas and emotions of the contributors is a thought-provoking privilege and a pleasure. Do you have any advice for poets who are in the process of entering poetry competitions? I’m not watching anything because it means I have to sit still, and I’ve too much else I want to do (write, paint, play with dogs, ferrets and owls, ride motorbikes). I’m reading my police handbook on being a better motorcyclist, prior to taking my advanced motorbike riding test with IAM (Institute of Advance Motorists). I’m listening to AC/DC, Guns ‘n’ Roses, Queen, Nickleback, Mental as Anything, to get me through a backlog of intensely testing filing and paperwork, in between trying to finish writing a book about keeping owls.